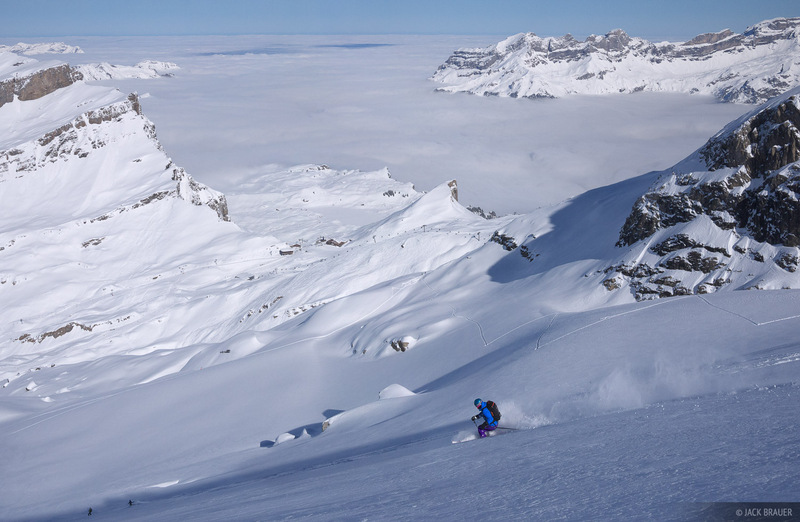 Skiing powder above the low cloud inversion - March. Skiier: Zapatilla. Photo © copyright by Jack Brauer.